That's right! We keep track of all dreamstones that we grade and provide a certificate labeled with our database reference number. We also keep track of current sale and auction prices of dreamstones around the world. Get your dreamstone graded by our professional members. Your dreamstone will be documented, certified, graded and saved in our database. Having your dreamstone certified and graded not only helps determine market trends of Dreamstones, it also provides you with a guarantee of security and authenticity. The magic of Dali Dreamstones is that Nature is depicting Nature, and it is no small wonder that they are called “Dreamstones”. These beautiful and mysterious marbles were made by Nature but it took the hand of man to reveal them. To the Chinese, Man and Nature are only parts of the Cosmos and although Man is an integral part he is neither incidental nor extraordinary. For scholarly contemplation, the Chinese seized natural objects whose forms appeared to encapsulate Nature: bizarrely eroded stones, a perfectly proportioned forest fungus, driftwood or baroquely contorted bamboo, left in their original states or somewhat altered by the hand of man, with one great exception; the variegated Dali Dreamstones. Dali Dreamstones have been prized and contemplated since at least the early Tang Dynasty (618-907) and during the Southern Song Dynasty (1127-1279) a portion of the Dali Kingdom’s annual tribute to the Song Court was stipulated to be Dali marble. Even the “lower” tier of this exquisite marble was used in the construction of the Forbidden City (1403-1425) as well as in the Imperial Ming Dynasty Tombs. Dali Dreamstones have held an unending appeal to scholars and the scholarly-minded and the importance of this Yunnan stone was esteemed so early in China that the Chinese word for “marble” is Dali. 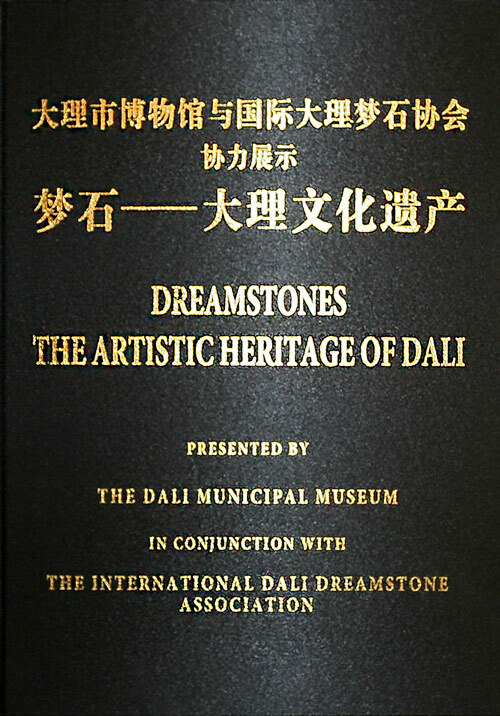 Due to the extreme turmoil in China’s 20th century history, however, both the art of "selecting/revealing” as well as the preponderance of knowledge and aesthetics involved in the collecting of Dali Dreamstones were essentially removed from the consciousness of almost the entirety of two generations of the Chinese population. This turmoil, which resulted in the almost complete destruction of the Dreamstone history, scholarship and actual artifacts, additionally kept the awareness of this extraordinary art form from being appropriately acknowledged in the Western world. In the 1990’s, however, a few individuals, both Western and Asian became aware that a small group of people, primarily Bai Nationality descendants centered in Dali, were still actively finding, selecting and collecting Dreamstones in the classical manner. At this time, most of the funding for their activity was from offering their “souvenir” quality material to the general public and from mining building grade marble for expensive resorts and residences. Some of the “selectors” were actually able to maintain small collections that were indicative of the Dreamstone’s past glories, and even its future potentials. Because of the 1990’s discovery, by the year 2004, an encouraging number of publications, a monthly magazine and even one lengthy, scholarly text had been produced, and with more serious buyers coming to Dali, the “suppliers” and selectors were able to produce more variety than had been available for nearly a century. Unfortunately for the Western world, virtually all these publications were in Chinese, and with a few exceptions, the West still remained uninformed. Some of the exceptions included a series of five exhibitions held in New York City, Palm Beach, Washington D.C., Baltimore and Chicago. The reception was remarkable. With prices ranging from $950 to $90,000, almost the entirety of the collection of 175 pieces was sold. (On a side note, in China, a recent price paid for a Dreamstone that we are aware of, was $1,000,000 USD). What is even more extraordinary was the demographics of the buyers. 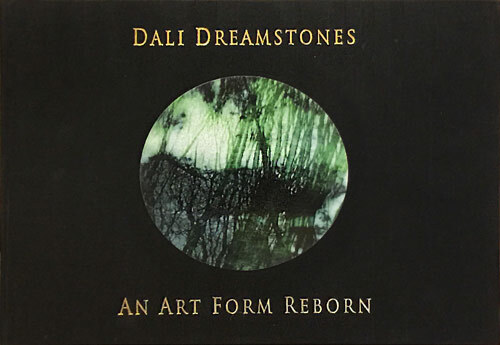 From billionaire art collectors to first time art buyers at the beginning of their careers to people in their 80’s with multiple PhD’s to teenage students, there appears to be no barrier to the stimulation and fascination, if not outright awe, of the Dali Dreamstones. The Dreamstone palette, textural effects, unimaginable vistas and singularly provocative combinations are now only known by of the few who have been privileged to have had access to them. The collectors are now however, increasing exponentially. 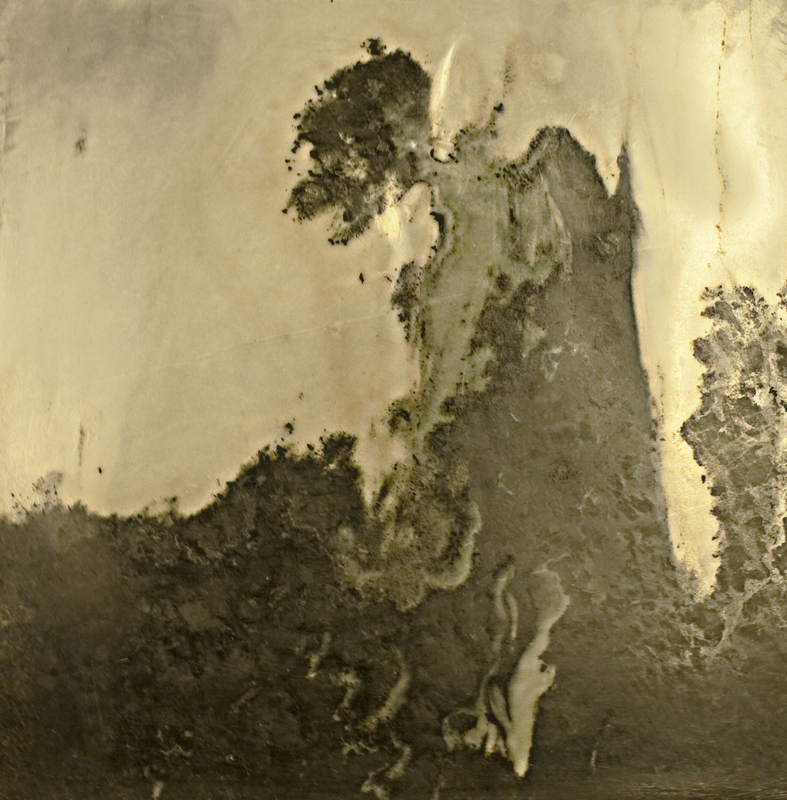 As more exhibitions and scholarship becomes available in both the Eastern and Western worlds, it is unquestionable that this ancient art form will, once again, come to the forefront of appreciation by the art community, be they are established collectors, artists or those at the beginning of their journey to establish an aesthetic connection to the world around them. Throughout the history of our sometimes violent and often chaotic world, humans have often been cavalier about our art treasures, whether natural or manmade. The ravages of warfare, religious biases, differences in philosophy, political arguments—all of these have contributed to the loss of irretrievable amounts of art. At its worst, all vestiges of information about the art form are gone. Some peripheral references might be found in obscure places, but we can only speculate about the extent of loss to culture and art appreciation. In a slightly better case, enough remnants remain that the world may at least know something existed at one time. Best of all such deplorable situations, however, is when some few examples are found and a viable source remains for re-initiation into the world. The latter is the case for the amazing natural art called Dali Dreamstones. However, some color palettes may no longer be available because many quarries are extensively diminished and several other quarries are being closed. Thus, Dali Dreamstones will become rarer and several types will become completely unavailable. Dali Dreamstones are unique pieces of stone, primarily marble, that are removed mainly from Cangshan Mountain in Yunnan Province, China. Although marble is certainly highly prized for utilitarian uses, Dreamstones are revered for their captivating imagery. Their extraordinary character led to their being highly valued by ancient emperors, scholars, major religious figures, intellectuals, and the Chinese people for at least two millennia. During that period of recorded history, these two-dimensional marbles were the epitome of art and were venerated for their incredible depictions of the three-dimensional world, for their colors, their beauty, and their symbolism. Yet, Dreamstones were nearly lost to the annals of history. 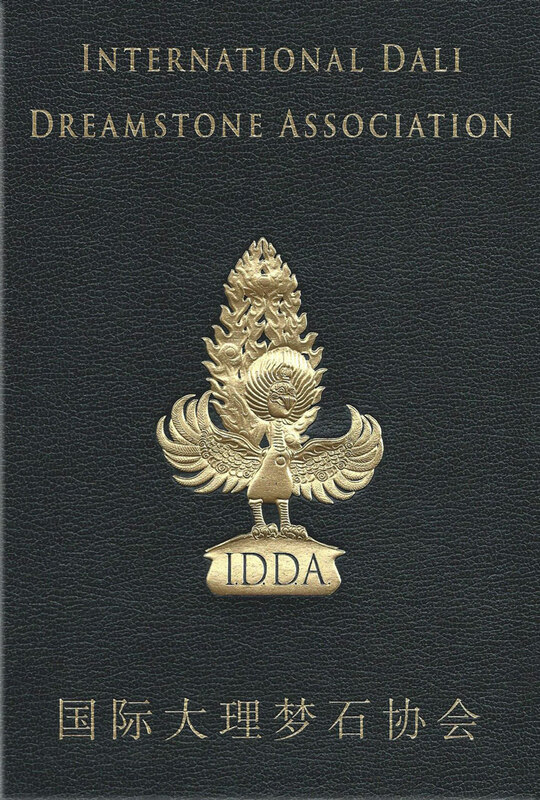 To mitigate that loss and return Dreamstones to the recognition that they deserve, the International Dali Dreamstone Association (I.D.D.A.) was formed. Its mandate is to promote, preserve, protect, revive, educate, and advocate for this unique art form. The I.D.D.A. is a non-profit confederation of experts who came together to reintroduce Dreamstones to the Chinese people as well as to the Western world. That advocacy takes many forms. The I.D.D.A seeks a voice for the stone masters who cleave these incredible pieces of art from blocks of stone. Their remarkable skills deserve recognition and appreciation. The art form also deserves recognition and appreciation on the world’s art scene. The I.D.D.A bemoans the loss of the Dreamstone history during the 20th-century’s chaos in China. The I.D.D.A seeks to ensure that future generations have access to and information about this art form and those involved with it. The I.D.D.A provides oversight for and protection of the art form itself. 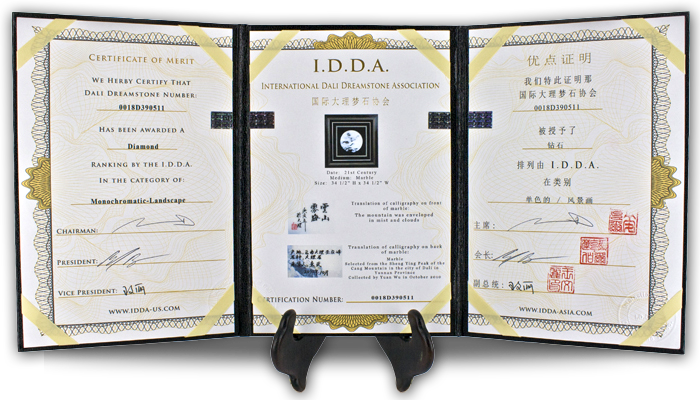 Purchasers of Dali Dreamstones need assurance of a standardized frame of reference in order to make informed judgments about the integrity, merit, and commercial value of Dreamstones. Therefore, the IDDA will provide the educational framework, testing methods, and knowledge database to train Dreamstone appraisers. Impartial subject-matter experts will then certify those who successfully complete the I.D.D.A's preparation program and pass the qualifying certification test. The I.D.D.A's frame of reference for evaluating appraisers also can help sister organizations establish consistent standards. The I.D.D.A further seeks to ensure that the Dreamstone providers are appropriately reinbursed for their labors. Dreamstones are more than simply art. They are an integral part of Chinese history, culture, and philosophical outlook. Along with reintroduction of the marbles the to Chinese people and to the Western world, the I.D.D.A intends to share and document as much of Dreamstone history as can be reconstructed so that future generations retain that knowledge. The I.D.D.A seeks to establish methods for standardizing information about the Dreamstones and to set up record-keeping procedures. The goal is to accommodate research, academic studies, and aesthetic study of this art form. The I.D.D.A can be the international voice for sister organizations that are making an effort to promote Dreamstones within China. The I.D.D.A will advocate for Dali Dreamstones through such media as publications, articles, exhibitions, and public speaking opportunities. The recent revival of the Dreamstone art form is now being celebrated in China by local, regional, or national venues for competition. Those judged most meritorious under rigorous standards often are awarded prizes, and articles might be written lauding their beauty. The I.D.D.A interacts informally with such competitions to encourage more visibility for Dali Dreamstones. And, just as the I.D.D.A retains an informal relationship with China’s internal marble competitions, so too does the I.D.D.A interact with separate sister organizations that are springing up. The I.D.D.A lauds their efforts on behalf of Dreamstones, coordinates loosely with them, and encourages their efforts without intervening directly. Dali Dreamstones merit the regard and appreciation of today’s world. The I.D.D.A seeks to help ensure that Dreamstones are seen, appreciated, properly evaluated, and recognized as the extraordinary and unique art form that they are. The I.D.D.A is proud to represent and support this fine art form and gift to the world. The epitome of color, texture, depth, rarity and composition. A masterful piece as defined by highly prestigious awards and critical reviewers. This ranking is the Dreamstone equivalent of the masterpiece of a great master in any other historical or contemporary pictoral art. A Dreamstone Master may find one Diamond ranked scene in about every 10,000 tons of material he views. Beautiful composition, color, depth, grain and uniqueness. Roughly comparable pieces may exist, but those may not be as extraordinary. Many in this category have won local prizes. These are the Dreamstone equivalent of work of a great master in any medium of pictoral art. A Dreamstone Master might find this ranked scene in ever 1,000 tons of material viewed. Fine examples of Nature's artistry. The hue's, subject matter, and dimensionality draw the eye and entice contemplation. The Dreamstone equivalent of a fine work of art in another medium, by an artist who has generally not become globally known. The availability of Gold Ranked material varies greatly within different palettes. Lovely decorative pieces that appeal visually and occasionally viscerally, but not of the highest artistic merit and may have poorly defined imagery. Occasionally, it is only a defect in the stone itself that lowers a Gold Ranked to a Silver Ranked. However, items in this category are generally more widely available and are similar in character. When grading Dali Dreamstones one must consider that there are a number of possible mechanical manipulations of the artifact’s surface which would substantially alter the lines of the subject matter. This is generally done to make them more commercially desirable, in price and salability. The I.D.D.A. considers these procedures to be contrary to the spirit and intention of the Dali Dreamstone Act. However, there is some degree of skill involved in producing this altered material and the artifact could be considered a handicraft. 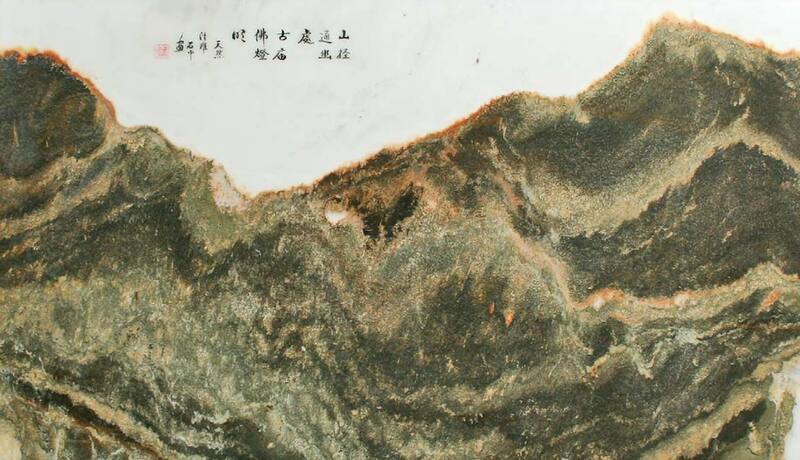 When an individual is informed, beforehand, that manipulation has been conducted that changed lines integral to the design, the stone should be considered a pleasing decorative souvenir of one’s visit to the area. Although generally, because there is usually an intent to deceive, for financial gain, the I.D.D.A feels that most all of this manner of work should simply be labeled “forgery” along with all the implied negative connotation of that word. Therefore, in addition to the standardized rankings of Diamond, Platinum, Gold and Silver, the listings of “Forgery and Souvenir” will be added. These Dreamstones can have an appealing color and are mildly suggestive of a natural scene and composition, but are not of true artistic merit and are often poorly defined. They do not require the intuitive talent of a master to reveal them. The buyer in this case has not been informed prior to the sale, that this manipulation has occurred. Buyers should beware of purchasing Dali Dreamstones that are FRAMED BEHIND GLASS! Framing Dreamstones behind glass can obscure a number of undesirable problems. In some instances “suppliers” have made attempts at bleaching unwanted colors out of a Dreamstone and hiding that fact by placing glass over the Dreamstones so that close examinations is not possible. Also the common disguising of mechanical alteration, defects in the stones, and even structurally damage is obscured. Additionally, and sadly, many positive and unique aspects of the Dali medium can also be lost when seen through glass. One potentially “fatal” flaw found with “glassed in” Dreamstones, is the use of poor matting materials and construction. 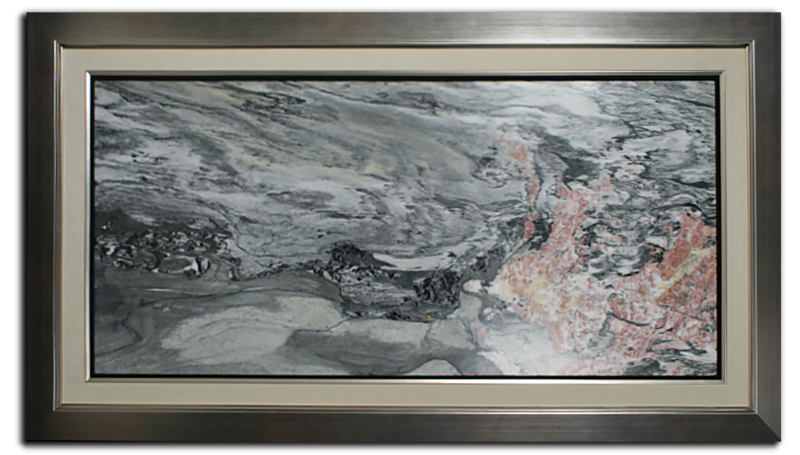 Poor matting and framing techniques and materials can result in the cracking of the stone or even having the Dreamstone fall out of the frame. Dali Dreamstones not purchased through or inspected by a recognized I.D.D.A dealer are often subject to poor structural integrity. Weak gluing and improper mounting and matting can not only result in damage to the Dreamstone, but can also result in personal injury and destructions of property under or near the Dreamstone. Many Dreamstones are actually meant for use in floor screens and small desk or table top settings, not for wall hangings. Addition: Buyers should be more cautious when purchasing particularly thin or large dreamstones because they tend to be framed in green lumber, which may warp. It is strongly recommended by the I.D.D.A. that framed Dali Dreamstones for wall hangings use the “Cleat” or “French” method of hanging to ensure integrity of the marble and the safety of its surroundings. I.D.D.A. uses state of the art security features with seven antifraud devices. Binder has an embossed 3 dimentional Dali bird (gold foiled) created with a hand carved die custom on a black textured cover. 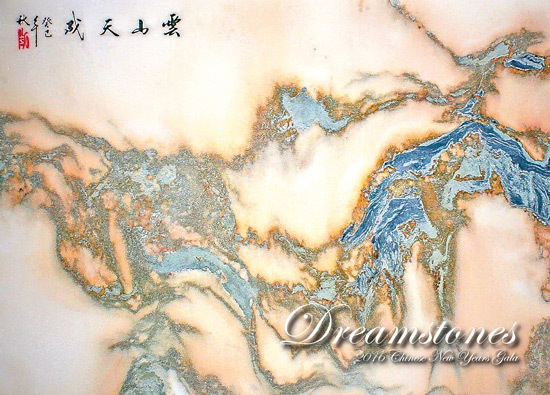 Manipulation of Dreamstones, while not common, is done to increase the value of the Dreamstone by altering the surface of the marble to remove unwanted NATURAL lines, colors and defects in the material in order to create a desired effect. It should be noted that manipulated stones are no longer nature's art and do not require intuitive talent to obtain. If sold without informing the purchaser, these stones would be considered forgeries. Three panel certificate with left panel featuring the certificate number, ranking and category in English. The center panel showcases the dreamstone photo, certificate number and translation. Right panel features the certificate number, ranking, category and seals - in Chinese. 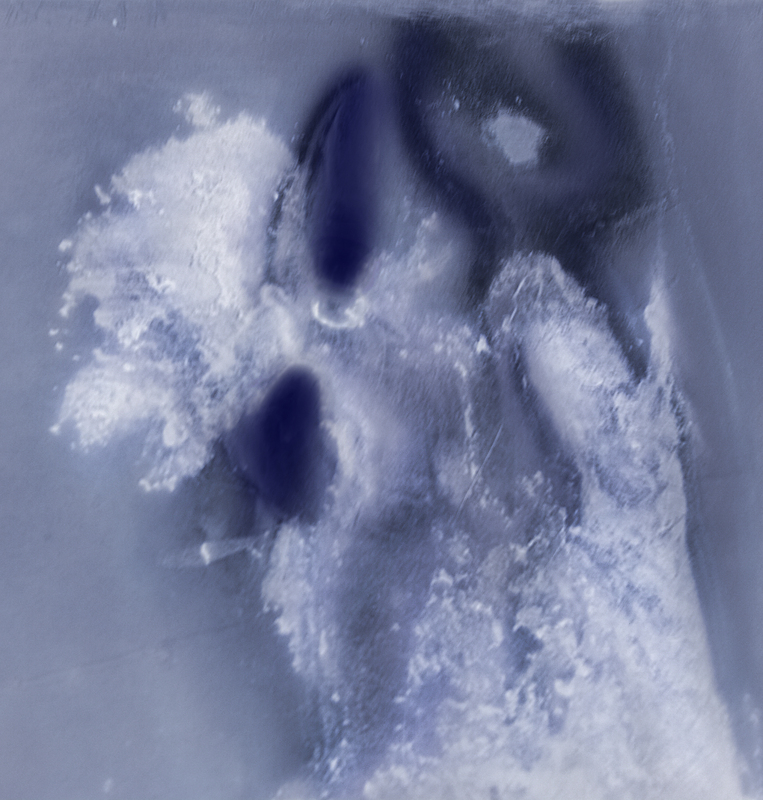 Two different methods of detection, primarily highlighting manipulated areas by lighting and use of specialized polorized filters. The manipulation in the above case, was extensive grinding of the stone to remove color to create the shape of a neck and remove other unwanted surface color. 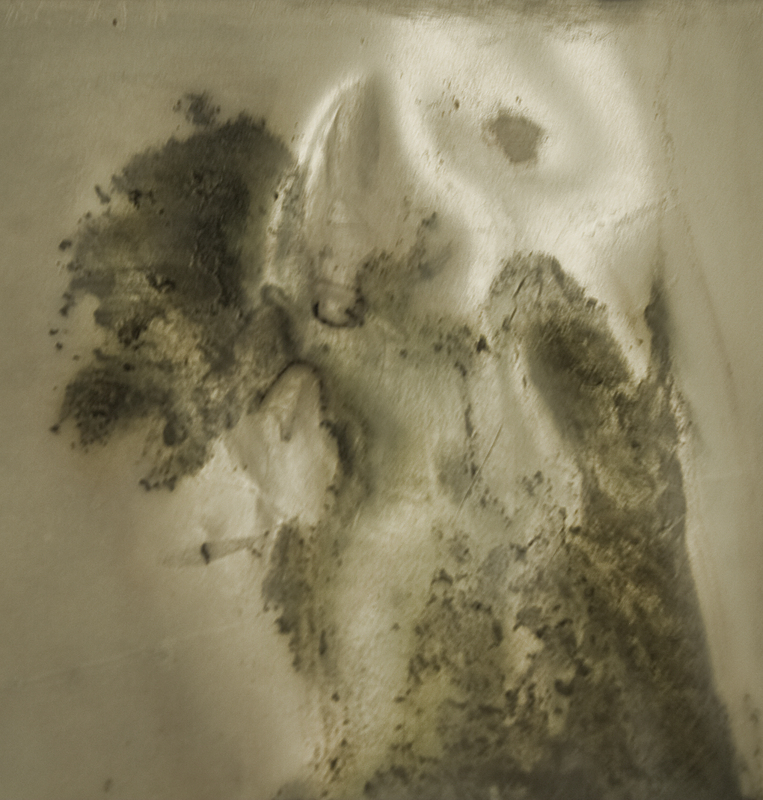 There are examples of surface imperfections That Do Not Effect The Value of a Dreamstone. In some instances one may find surface imperfections of a dreamstone that can result naturally, due to different surface densities within the stone. These "softer" areas of the stone can result in surface depressions. Some surface imperfections can also be a result of cutting, grinding and/or polishing of the Dreamstone. Quite often this occurs because of the relatively modest and primitive tools. If these these imperfections do not result in changing of coloring or lines of the Dreamstone ( a deliberate act to enhance the value of a Dreamstone), there will be no loss of value. Develop a deeper and more elemental connection with your artwork. Art created by this earth should be appreciated by those who live on it. Mr. Teller has been a professional collector and dealer in Asian antiquities for more than 37 years. He has particularly nourished his passion for Chinese art since the late 1970s, when he first visited China. That passion also has led him to become a highly renowned resource in conservation, restoration, and documentation. His establishment of an extensively equipped science laboratory devoted to pure research on Asian antiquities represents the only onsite laboratory of any Asian art dealer. Mr. Teller’s business headquarters and central gallery is TK Asian Antiquities in Williamsburg, Virginia. This is also the site for the antiquities research laboratory, as well as some restoration and conservation work. 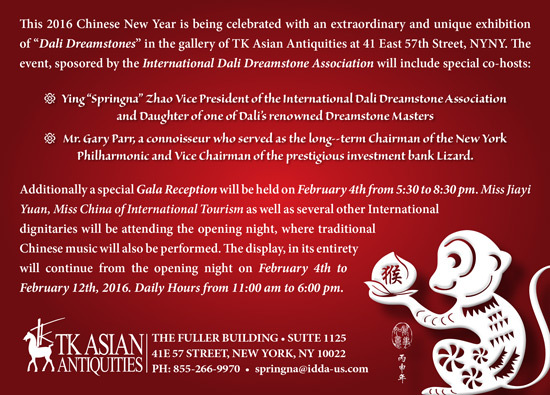 One of TK’s other main galleries is in the prestigious Fuller Building in New York City and extensive restoration capabilities and gallery space are additionally located in China. Dali Dreamstones are the only twentieth-century creations that have truly captured his imagination, stimulated his curiosity, and evoked as strong an emotional response as have ancient Chinese works of art. Mr. Burr is a collector and restorer of ancient Chinese artifacts, primarily scholar's items, funiture and dreamstones. He has made almost 100 trips to China during his career as general manager at TK Asian. These trips starting in the early 1980's include spending months teaching craftsman in the Beijing area about wood restoration and conservation. He has also inspected tens of thousands of Dreamstones and is a highly regarded connoisseur in the field. Wang Wenli, was born in February 1975 near Dali in Yunnan Province. Early in the 2000's her great familiarity with people from all walks of life as well as the historical and scenic wonders of Yunnan led her to become a administrator of duties for the area. After graduating from school she began working in galleries around Dali with the purpose of speaking English as well as becoming versed in Dali's culture, customs and history. During her time spent learning in the galleries around Yunnan she was introduced to the locally famous Dali Dreamstones and her appreciation and love for this historic art began. Springna is an American Chinese who is also the daughter of a well known Dreamstone master. She attended the elite Chinese diplomat school - China Foreign Affairs. Later, she studied at Auburn University on an International Peace Scholarship. Her other credintials include serving as Special Advisor to Governer of Alabama's Office on China, as well as Global Wealth Management Consultant for Merrill Lynch, Bank of America, and now Investment Advisor for Stifel. Springna is passionate about Dreamstones, partially due to her unique upbringing but also her general love of art. Her cross-cultural experiences allow her to be a major contributer to the I.D.D.A. Do you have your dreamstone professionally ranked & graded? Sure you do, because we are the world leaders in documentation and certification of dali dreamstones. Here we work hard, following market trends and prices of dreamstones throughout the world. To assist in properly documenting the rebirth of the Dali Dreamstone artform we have a membership program which has recently been formed. There are 4 type of memberships that will be available. ALl memberships will have access to the soon to be activated "members only" section of the I.D.D.A website. However, each level is at a different price point and has access to different benefits. Dali Dreamstones – the name perhaps benefits magical images or the challenge to the imagination while studying one of these examples of nature’s masterpieces. The word “Dreamstone” is a coined term that seems apt for a stone that shows its viewers something visually striking and remarkable-weather a flower, an animal, an extraordinary burst of color, a stunning scene, or insight into one’s essence. Dreamstones offer excuisite two-dimensional views of our three-dimensional world, doing so with such panache that much manmade art pales by comparison. - Dreamstones – The Artistic Heritage of Dali: is an extraordinary 128 page, gold tipped catalog of some of the finest Dali Dreamstones ever to be displayed in a first of its kind exhibition carried out by the Dali Municipal Museum in conjunction with The International Dali Dreamstone Association…..
From approximately 30,000 known Dreamstones in the Dali region, 100 plus Master Revealers, scholars, collectors and successful commercial distributors chose what they felt were among the best 600 Dreamstones available. From that extraordinary collection, an even more select group of 52 truly remarkable works of art, created by the divine and revealed by man, were chosen by the I.D.D.A. to be presented in this Dali Dreamstone exhibition shown at the Dali Municipal Museum.